You’re waiting to see if your tax refund will be good. But have you thought about how to best apply it to your financial future? It’s a good time of year for a perspective shift and Hogan will help your future stay in high definition. Not only that, but your retirement coach has a new challenge and an invitation to a community of future dreamers. Other features in this episode include “Veshona’s Story” (an attendee at a recent Retire Inspired Live event), The Takeaway, and a new Millionaire Moment. 0:35—WELCOME 1:49—YOUR TAX REFUND IS NOT A BONUS Hogan has insight about how the baby steps and your tax refund can go hand in hand. Wherever you are in the baby steps, use the following suggestions. Baby Step 1—If you haven’t completed your $1,000 emergency fund yet, put your tax refund toward this. Baby Step 2—No matter what kind of debt you have, apply that refund to the biggest amount right away. Baby Step 3—If you’re out of debt, take that tax refund and create an emergency fund 3-6 months of your expenses. Baby Step 4—You’re ready to invest toward your retirement dream! Why not use the refund toward investing? You need to know your Retire Inspired Quotient. Go to chrishogan360.com/riq. Once you know your number, you can get excited about investing. Baby Step 5—If you’ve made it this far, you could apply the refund toward your children’s college. Baby Step 6—If you’re on this step, you can apply your tax refund toward paying off that pesky mortgage.. Baby Step 7—At this point, you have freedom to build your wealth and have no constraints. You’re allowed to just have some fun with your tax refund money! 15:34—LISTEN UP VIPS (HOGAN’S HIDDEN SAVINGS CHALLENGE) Five weeks, 10 tasks to complete. If you want to supercharge your investing and saving, join us for Hogan’s Hidden Savings Challenge. You’ll learn how to stop bad money habits, simplify your life, and save for the future. You’ll also be invited to join Hogan’s Retirement Challenge Facebook group, where you can hear from others who share your money goals. You can register at chrishogan360.com. Look for CHALLENGE on the menu bar. You can also follow Hogan on social media for details. 17:11—STORY SPOTLIGHT: VESHONA Veshona has a clear plan for her future and she wants to share it with others. She has no problem with sacrifice and can give you the details of her retirement dream. At a recent Retire Inspired Live event, she shared her passion and focus. Listen, learn and apply it to your situation! If you want to see Hogan live, we’re offering $10 off the Smart conferences in April or the Retired Inspired conferences in May. 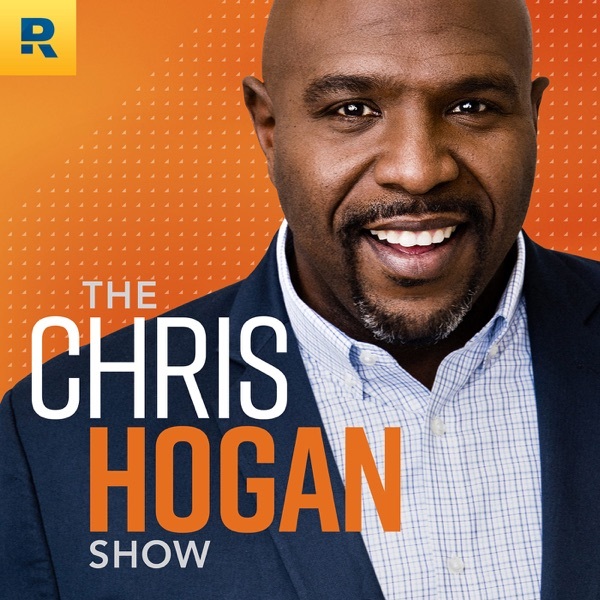 Go to “events” at chrishogan360.com and use the code HOGANPODCAST at checkout. 23:37—HEAR FROM THE PEOPLE Hogan reads and responds to two emails: A listener shares her own personal battle cry (Hogan discusses having a battle cry in Episode #7 @29:11). A 60-year-old retiree wants to know if her investment risk should correlate to her age. She has a net worth of over a million dollars and has $700k in savings. 30:13—THE TAKEAWAY: THE RIPPLE EFFECT 36:03—THE MILLIONAIRE MOMENT Hogan shares the story of a self-made millionaire, Leslie, whose net worth is over $1.9 million. Leslie’s mentality is forward-thinking! She has little time for trivial things because she’s busy making smart decisions. 38:39 —RALLY CRY WRAP UP 39:28—CALL TO ACTION Tell friends and family about the Retire Inspired Quotient tool (R:IQ) and the investing professionals called SmartVestor Pros. Information on both are at chrishogan360.com Email us your retirement dreams or wins, your halftime speeches, and your Retire Inspired Send them to podcast@chrishogan360.com. You can also write a review of the Retire Inspired podcast on iTunes and subscribe to future episodes.